Helium. I typically write about artists that may not have the exposure that others do. A little while ago, I started mixing in the albums that I think deserve respect, but didn't get much exposure back in the day. This post is the start of something to add to my hip hop reviews. There are a lot of artists out there right now that are on the rise, but don't have much exposure even though they have already shown their potential. This post, and any future Helium posts by Ronin will focus on new artists to keep an eye on. There is a lot of talent and musical history in Detroit and it doesn't look like it's going to end while the city gets back on it's feet after economic paralysis. Hearing new talent is encouraging because it keeps the genre moving. MosEl is a young mc from Detroit and his style is like a combination of Madlib and Kanye. Kanye wasn't always a monster and MosEl reminds me of when Kanye was just a drop out, but with less ego. This album also has the off-kilter tracks, obscure samples and experimental sound that reminds me of Madlib. It's not completely fair to compare a new artist to two great artists like Kanye and Madlib, but pioneers deserve credit and I can't help what comes to mind. MosEl sampled a track from Madlib's Shades of Blue and he even went back to sample the original sample in Gettin' Up (Q-Tip). He produces the majority of his own beats and you can see for yourself that the album is unique, diverse and impressive. 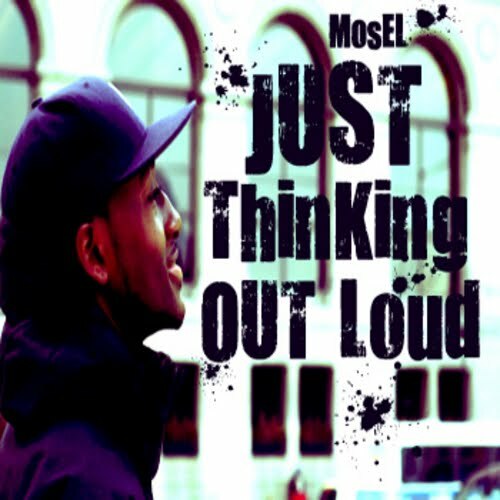 Just Thinking Out Loud is a great intro to the world according to MosEl. I found out about MosEl by chatting a girl from Detroit on Facebook. I'm not sure if she wants me to put her name out there like that, so I'll leave it as "she". We were just talking about underground mc's from Detroit and she threw MosEl's name out. I checked it out and I have been planning to write about it for a while now. Thanks for the heads up, you know who you are! MosEl has a confident, soulful and intelligent style that I know can do well. In 2011, everyone has a website or a page on Facebook/MySpace. I couldn't find exactly how old MosEl is. I know he's younger, but he talks about environmental racism, the music/entertainment industry and society without being preachy. That's not the limit to his lyrics though. He throws in soul claps, laid back and witty tracks that are not so serious. Make sure to give the track below a shot and if you like it, you can download the album for free directly from MosEl's Bandcamp page.